If you are buying a property in France, you should instruct an independent English-speaking French property lawyer to guide you through the property buying process. France has some of the strictest forced inheritance rules of any country and these are very different to the inheritance rules in the UK. The way you structure your French property purchase now could have a big impact on your succession planning later on. This, together with the unfamiliar legal process and different language, it is important that you instruct a French lawyer who is used to assisting UK clients with property purchases in France. 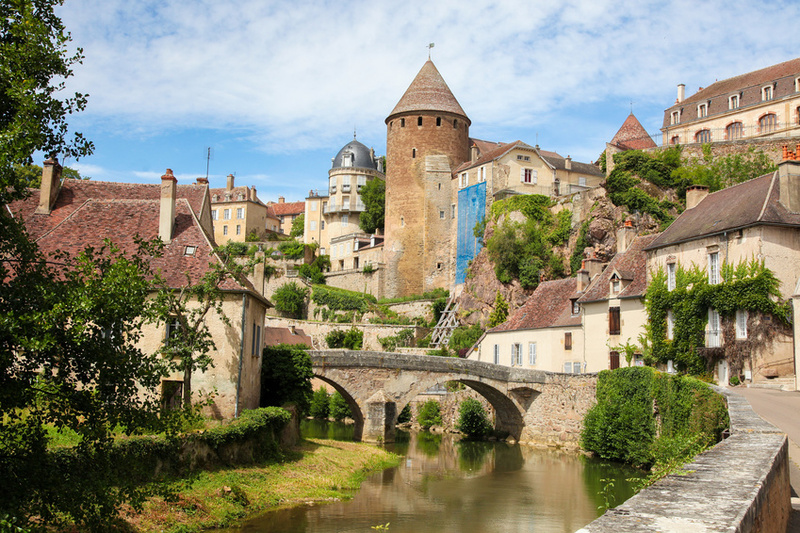 How do you find a recommended English-speaking French Property Lawyer? Contact our friendly UK based representatives on 01244 470 339 for FREE help to be put in touch with an independent English-speaking property lawyer in France. You can also click here to request a call back from our team via our quick contact form or contact us by email at info@worldwidelawyers.co.uk. Worldwide Lawyers can connect you to an English-speaking French property lawyer to assist you with buying property in Antibes, Bordeaux, Brittany, Canne, Cote d’Azur, Dordogne, Languedoc, Montpellier, Nice, Paris, Perpignan, St Tropez or anywhere else in France for that matter! Click here to contact us and be put you in touch with an independent English-speaking French lawyer. We have provided some general information below about the French property buying process to help you. For more information download our FREE France Property Buying Guide. This information is not a substitute for specific advice from a properly qualified and experienced lawyer and it is important that you seek legal advice in relation to your own circumstances. Worldwide Lawyers can put you in touch with a property lawyer in France to advise you and help make the transaction as smooth and hassle free as possible. Once you have found your perfect French property, agreed your purchase price and Worldwide Lawyers has found your English speaking French lawyer you are ready to move forward with the buying process. In accordance with French law all property transactions must be overseen by a legal representative of the French Government called a notaire. When an offer is accepted on a property in France, the estate agent or the notaire will draft an initial sales contract known as the Compromis de Vente. The Compromis de Vente is the agreement that the buyer will buy and the seller will sell the property and is binding on both parties. Before signing this contract you should seek guidance from your lawyer in relation to your rights and responsibilities and to ensure that you are protected should anything happen that may affect your ability to complete the purchase after signing i.e. obtaining a mortgage. Usually a deposit of around 5- 10% of the purchase price will be payable by the buyer when signing this contract. There is usually a 7 day “cooling off” period after signing the Compromis de Vente within which the buyer (but not the seller) can withdraw from the transaction without consequence. Once the Compromis de Vente is signed, the notaire will check the property title, complete any searches relating to the property and will ensure that both parties are able to enter into the contact. When the notaire has everything they need, they will set a date for completion of the sale. On the completion date both the buyer and the seller will attend the notaire’s office to sign the completion document, the Acte Authentique. This is the conveyance document that transfers the legal ownership of the French property. You can either sign these French title deeds in person or arrange a Power of Attorney for someone else, usually your lawyer, to sign on your behalf. If you do sign in person it is advisable to have your English speaking lawyer or a translator present in any case to translate and explain the contents of the deeds to you. Should you require a Power of Attorney, your French lawyer will be able to prepare this for you. You can put the Power of Attorney into effect by signing this in France in in the presence of a French Notary, through the French consulates in the UK, or through a British Notary Public with a Hague Apostille. At the completion meeting the notaire will go through the contract and explain the contents to both parties and provide the results of the various reports and searches on the property. This will be in French and the notaire may not agree to sign the deeds unless he is happy that either you speak French and understand the contents or your English speaking French lawyer is present. The rest of the purchase price, tax, legal and agency fees, must be transferred in to the notaire’s account by the signing date, so that these can be settled immediately after the signing. The notaire will present the deeds to the Land Registry for registration. The property is now yours! The next step is to enjoy your new property relaxed in the knowledge that your independent French lawyer has taken care of all legal formalities and your interests have been protected. Congratulations! The additional costs of buying a property in France are usually around 15% of the property purchase price. If you are buying through a French Property Company, a Société Civile Immobilière, you may also find that there are some additional fees. As agreed between you and the vendor. You will need to check whether or not the purchase price includes the estate agents fee. If the purchase price includes the estate agent fee, usually the seller will have to pay this out of the sale price to the agents. If it is not included in the sale price usually the buyer has the responsibility of paying this to the agent on top of the sale price. The fee can also be shared between buyer and seller by agreement. Estate agent fees are usually charged as a percentage of the sale price. It is not uncommon for these to be up to 10% of the purchase price. Sometimes notaires act as selling agents and advertise properties for sale. Their selling fee is often considerably less than an estate agent, typically 5-6%. If you are buying an off-plan or a new property you will pay 20% TVA (equivalent of UK’s VAT) unless buying from a private individual. For “second hand” properties you do not need to pay TVA but you will need to pay Stamp Duty of around 5% of the purchase price. Lawyers fees are usually charged as a percentage of the purchase price- typically 1-2% but can be less depending on the property and the firm. There may be an additional cost if a Power of Attorney is required. Your lawyer will advise you of their fees for this. The charges are fixed by law on a sliding scale and usually work out to around 2-3% of the purchase price once you include TVA (VAT). The higher the property price the lower the percentage charged. The notaire’s invoice may include the Stamp Duty and/or Land Registry fees so you should ensure that you understand what has and hasn’t been included. This is usually between 0.5%-1% of the property value. If you require a mortgage, a fee of around 1% of the loan value is charged. This may also increase the notaire and registration fees as the loan will need to be registered for the lender. It is often suggested that it is not necessary for the buyer to have his or her own lawyer in a French Property purchase because the notaire deals with the transaction. The notaire however acts on behalf of the French Government and not on your behalf as the buyer. The notaire will not verify everything you need to know about the property or necessarily advise you specifically. It is therefore imperative that you instruct your own lawyer who is experienced in dealing with French property purchasers to advise you throughout the transaction, make any pre-contract enquiries on your behalf and to ensure that your interests are properly protected. This is especially important if you are buying with a more complex contract such as leaseback or if you are buying a off-plan or new build property. Another major factor to consider when buying a French property is that French inheritance law and tax is entirely different to in the UK. An experienced French solicitor will understand and advise you as to family issues relating to you as a British buyer in France. They can advise as to the different options regarding the legal ownership of the property, assist with drafting a French will, matrimonial transfers and gifting a property. Using a solicitor during your property purchase for a comparatively small fee, can give you reassurance and save you time, money and hassle in the future when your property is passed on or sold. Instructing an independent English speaking lawyer to provide advice and reassurance that the legalities are checked on your behalf is essential. You should protect yourself by instructing a lawyer as soon as possible and before any formal steps have been taken to purchase a French property or before any mortgage has been formalised. This will allow your lawyer to advise you properly on all aspects of the transaction to ensure your position is fully protected. Contact us on 01244 470 339 for free help to find an independent English speaking lawyer to assist you with buying a property in France.